At the turn of the century when people wanted to plan a holiday they chose their destination and then went to see their local travel agent. Adventurous travelers had rumpled guidebooks and relied on word-of-mouth recommendations to set up their travel agendas. Today all of that has changed. Now those who wish to travel can book their own flights and hotels online and search online reviews to find restaurants and tourist objects through their mobile devices. Our digitalized generations can now more efficiently book travel than ever before with no problems; wherever they go can have all the information they need at their fingertips. Now in the digital age, there is a generation of DIY travelers who plan, manage and book their travels online. However, the rise of the digital age has greatly disrupted the industry for travel agents. Now traditional travel agencies are being replaced by online travel agencies. Some are lucky enough to be able to transition from traditional to online. Over the past fifteen years, low-cost carriers and online travel agencies have become the clear winners in the online travel revolution. Nowadays those who wish to travel have many options through which they can plan their trips, including mobile phones, tablets, desktop or offline in a store or over the phone. Technology has also presented new opportunities for small businesses in the travel sector, letting consumers all over the world discover many travel options through online sites, the social media and the various companies in the industry who have their own websites. The digital age has also changed the way accommodation businesses, like hotels and motels, do their business. They receive online reservations and in turn confirm the booking online as well. Customers, in turn, can use various websites to find hotels within their price range, as well as check reviews and leave feedback after their stay. 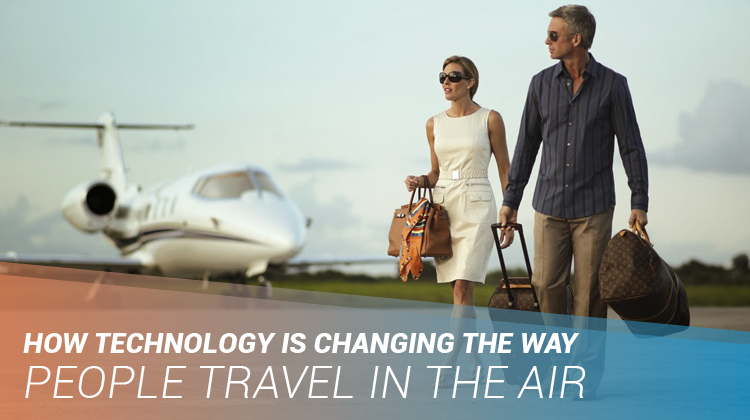 Basically, technology has revolutionized the way that we plan our vacations and long-term travel plans. It has significantly helped those who enjoy backpack traveling because the information they need and anything they don’t understand can be solved by just clicking on their mobile device. Another thing that has changed is that travelers no longer have to worry too much about getting lost. Today anyone who has a smartphone and a wifi connection has no worries. It is practically impossible to get lost, with Google Maps and various other navigation apps always there to lend a hand. You can imagine that decades ago if your lodging or a building you were looking for had moved to a different street than indicated on your map, you’d have to endure hours of searching and asking around. Now, armed with a mobile device, you can easily find your spot, and you no longer have to worry wasting half a day of your vacation searching for it. Travelers used to have to worry about traveling alone, and sometimes found they had a difficult time finding travel buddies. Now, however, due to modern mobile devices even if someone travels alone they are not really alone. Their mobile device will put them in touch with their friends, family and practically the entire world through the Internet. Reviews are everywhere, and they can help people make decisions as to where to go and what to do and what to see. They’re particularly handy when traveling since they guide you in the right direction when it comes to accommodation, food, locations, transport and things to see and do. Not only have reviews changed travel for travelers, but also for businesses since reviews have created a competitive market for hotels, hostels, and other industries. Unfortunately in this ever-changing digital technology world sometimes small businesses cannot keep up. Today more than ever information has become extremely accessible. Everything that the traveler requires is at their fingertips. Another great thing is that when people travel in foreign countries, they have Google translate right within their grasp. You can also get instant information about any nation and their culture. One of the things you’ll notice is that the airports you may experience are a lot easier to move forward with. Security elements have come through with technology. There are a lot of devices that can take pictures, pull fingerprints, and do a lot of the manual work faster. This is the same across the United States and Canada, but also internationally. As more and more tech elements come to the world of airports, you’re going to find that safety is going to be something that many won’t have to worry about. This includes elements that are coming in the form of digital passports, and much more. Long lines will be a thing of the past, that’s for sure. Today’s passenger aircraft are 70% more fuel efficient per seat kilometer with the development of advanced material like carbon fiber so now aircraft parts can be built lighter and stronger than ever before. This has made it possible to create larger aircraft, carrying many more passengers. Among the newest and better materials are carbon-fiber reinforced plastic, glass-fibre reinforced plastic, quartz-fiber reinforced plastic and weldable aluminum alloys. The result is the world’s largest passenger airliner, that is able to carry over 850 people. Putting it all together technology has shifted the balance of power between business and customer across the travel industry, with access to honest and up-to-date reviews and recommendations offering essential holiday travel planning. Those who use social media now can find out what others are saying about different places to travel to, about the hotels they choose and lots of other details about traveling. Pretty much with modern technology people can now travel the world as if they were traveling in their own neighborhoods and nothing is left up to chance. If there are any unanswered questions left online sites can even answer those. The rest is just a few fingertip and mouse clicks away, and traveling can now be a safe and pleasant experience.